Couldn’t be better selection than Adrien Sahores be the face for the New Summer Collection The Kooples in Paris. The Fashion Week in Paris is not over, they continue with Haute Couture, where the top master designer present extravaganza elegantza in Paris. One thing you can do in Paris, when you’re in the middle of adrenaline on Fashion Week season, you can go to The Kooples store or you can do it in New York and Manhattan. And having a pleaser experience shopping with them. 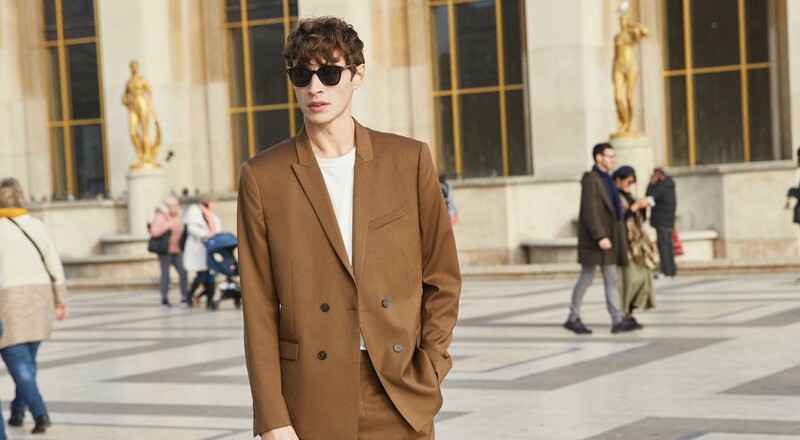 Adrien is using relaxed-fit shirts and pants, wool trousers, fabulous suede Biker Jacket among other outfits we’re about to see. In total were 55 pics and we’ve chosen only 25. You’d better enjoy it. You can check all brands and fashion presentation from Paris Fashion Week.